Meathead Movers is here to handle your heavy lifting, with local, student-athlete Selma movers, ready to get you safely settled into your new home. With so much to do on moving day, you can count on our Selma movers to save you time, money, and headache. 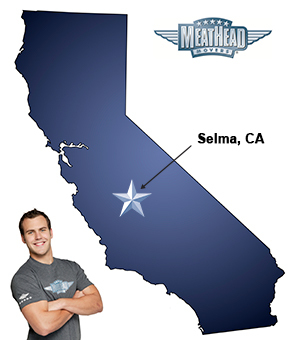 Meathead Movers is proud to service Selma and the surrounding areas, hiring clean-cut, professionally trained student-athletes, dedicated to your move to or from Selma. A small town in central Fresno County, Selma is known as the Raisin Capital of the World. This fast-growing community offers great job opportunities and a prime location in California’s beautiful San Joaquin Valley. Those who are moving to Selma will enjoy the comforts of small-town living while being just minutes away from all the conveniences of the big city. Hiring professional Selma movers is a great way to ensure that your transition is stress-free. Selma is located at the crossroads of State Routes 43 and 99, which makes it an important regional hub for Fresno, Tulare, and King counties. Temperate conditions in the area make it ideal for agricultural businesses and allow residents to enjoy the best in outdoors recreation. Selma is located just a few hours from world-famous Yosemite National Park and even closer to both King’s Canyon and Sequoia National Parks. Of course, Selma boasts more than just natural beauty and rolling grape fields. The city is also home to the Selma Arts Center which hosts a wide variety of plays, concerts, and special events, and even offers art classes for residents of all ages. The city has made a point of dedicating resources to the arts so that residents can enjoy them for years to come. Families who wish to catch sporting events and major national concert tours can do so by making the short drive to Fresno. Moving to the Central Valley may bring excitement, but the process of moving can be daunting. That’s why Meathead Movers is here to act as your Selma movers of choice. When you work with us, you’ll work with clean-cut student athletes who are dedicated to jogging when not carrying your belongings. We focus on making the most of your time and providing the best in customer service that way you can start enjoying your new home sooner. We are proud to provide local, long-distance, and commercial moving services to our customers. Our moving concierge service can help you prepare for your new life in Selma by putting you in contact with service providers and utility companies. Our Princess Packers can help you get your possessions packed and ready for the big move. Our local Selma movers are eager to introduce you to the hospitality of small-town California and help you get into your new home. With our 100% satisfaction guarantee, the only thing you have to lose is the stress that comes from moving! Contact us today for a free moving quote and to learn how we can help you on your next move! Moving to Selma? Here are some helpful resources. The crew was fast, friendly, and very knowledgeable. They worked very hard and did a very good job. We would not hesitate to hire them again. Movers were very efficient, polite and helpful. Move went smoothly. Would highly recommend them. EVERYTHING!!! Professional, friendly, polite, efficient crew. Timely arrival. Careful handling of my belongings. Thank you!